Remember those pre-kid days when you could spend an evening painting your nails, applying a face mask and luxuriating in a hot bath? No? Neither do we! Unfortunately, when you’re juggling a career and a couple of kids, your me-time is one of the first things to take a hit. Ever wonder how any mother has time to keep up with a beauty routine with little ones running around? It’s all about working smart, not hard. Not sure where to start? No problem — we’ve put together a list of three ways to completely kid-proof your beauty routine, so you can feel as glamorous as you did when you could spend more than five minutes in the bathroom uninterrupted. When it comes to looking and feeling good, how our hair looks tends to be a huge factor. So, while you might not have time to do a full face of makeup every morning, taking the time to style your hair can make a world of difference in how presentable you feel. You can help your hair look its best by eating a diet rich in essential fatty acids, like salmon and nuts, and hitting the salon for some much-needed “me time” every six weeks. But let’s be realistic: Sometimes making it to the hairdresser isn’t an option. So, it’s imperative that every busy mom has a few good-quality styling tools in her beauty arsenal. For example, the perfect flat iron hair straighteners will leave your hair silky, frizz-free and salon-level fabulous. These days, multi-functional beauty products are all the rage. 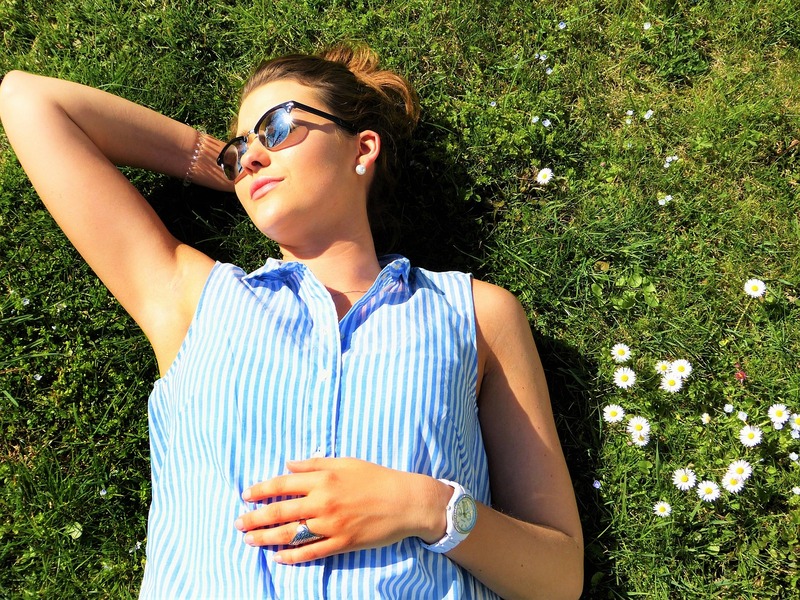 When you’re running around after the kids, time is precious, so being able to shave a few minutes off your morning or evening routine can be invaluable. A great example of a star performer in the world of multitasking beauty products is BB cream, a Korean favorite which combines a foundation, SPF coverage and anti-aging properties all in one little tube. 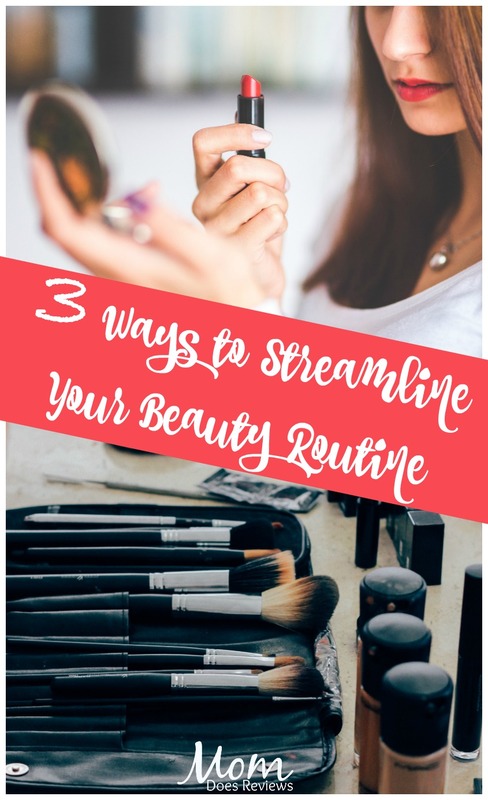 Keep in mind, you don’t necessarily have to run out a buy a whole lot of new multifunctional products to condense your routine. Take a look at your current makeup stash for inspiration. That lipstick you love? A perfect substitute for a cream blush. Your go-to neutral eyeshadow palette? Filled with gorgeous shades for filling in your brows and contouring your cheeks. It’s all about shrinking your stash so you’re not left grabbing for a dozen products every morning while your youngest tugs at your leg. It might sound simple, but one of the easiest ways to radiate beauty is to start from within. Research has shown that hydration is vital for maintaining ideal skin moisture, replenishing skin tissue and increasing elasticity to combat the signs of aging. So, regardless of how busy you are in the mornings, try to fill up a drink bottle and make a goal to drain it at least once by the end of the day, as the daily recommended water intake for an adult is approximately two liters. When your skin is well-nourished and clear, it’s a lot easier to feel confident going sans makeup when you need to free up some extra time in the morning. Juggling children, work and a beauty routine isn’t easy. That’s why it’s important to streamline your routine as much as possible, so you can save time for the things that really matter (like a strong coffee and five minutes peace).